"We have just had the pleasure of working with Gail Rossetti, owner of Rossetti Realty in Menlo Park. We have known Gail socially for many years through Menlo Church. When we decided to sell our rental house in Menlo Park we asked Gail to be the listing agent. The first thing we had to do was get the house ready for sale. Gail was a real help here as she knew local contractors who could do quality work quickly. This included painting the interior and staging the house to look its best. We found Gail to be personable, dependable, trustworthy and totally professional as she guided us through the entire process. She has a plan for selling a house that is organized and lets you know what to expect all along the way. She was able to sell our home for more than $400,000 over our asking price.Gail was a joy to work with and we are looking forward to working with her again soon." "My house was originally put on the market in October 2018. For 90 days my house sat on the market, wrongly marketed and it was never represented properly. When I discovered this, I immediately took action and cancelled my listing with the Broker. A friend introduced me to Gail Rossetti. Gail didn’t mess around, She immediately relisted the house properly, connected to her client base and staged the house correctly, even discovered that the someone was trying to interfere with her hard work by posting false listings on Craigslist. She had that removed (btw shout out to all the people on Gail’s team-they all put their heads together to help out) and sure enough, less than 2 months my house is sold. Yes, the price is right. So, in this soft market and uncertain economy, Gail Rossetti and her team managed sold my house for a price I could never have approached in his wildest dreams. I’ll be buying in the near future, and Gail Rossetti will be my broker, because whether she works for the seller or the buyer, she and her team produce results in record time and minimal stress." "Gail with Rossetti Realty and I have been communicating for over a year regarding the property I am selling as a Trustee in Foster City. This was a challenging trust to manage and what I particularly appreciated about Gail was that she was not at all pushy. She periodically called to check in over the year prior to the property going up for sale, and at times offered thoughts on selling the property when the time came, but let me choose the best time to engage her. Because I live out of state, I needed on-site support and coordination to prepare the property for sale, and Gail was very helpful in this regard. She coordinated painting, junk removal, garbage removal and many other important services. She was available for me every step of the way. Her selling strategy also was excellent. She sold the property for $62,000 over asking in approximately two weeks in a market that was softening! I would definitely engage Gail again for my own property or when I sell another property on behalf of a trust. As a fiduciary, I most definitely appreciated her efforts. Thank you and I will refer you to family and friends." "I had my property listed with another company and Realtor. It was very stressful. I had it on the market for several months. I chose Gail Rossetti with Rossetti Realty because of the 7 point marketing system which would set me up for a successful sale of my property. I listened to what she said and together, we prepared the property for sale. She has World Class Marketing and excellent communication skills. My property SOLD in less than 2 weeks at $126,000 over asking price and close to 10% over asking. This is the smoothest transaction. Thanks!" "Over the last few months, I have had the privilege of working with and getting to know Gail Rossetti. She is an absolute pleasure with which to work and a commensurate professional! I was in a very challenging situation. My father had passed away, and I needed to sell his home. Complicating matters, I live in Washington state, while my father's home is in California. It was going to be very difficult for me to take time off of work and get the house prepped to sell. Instead, Gail really stepped up and helped me out. Not only did she make the arrangements for people to clean my dad's place, and do the minor repairs to get it ready for sale, she did an amazing job marketing and showcasing his home. The results? Neighbors told me that literally hundreds of people attended the open house events. We got multiple top dollar offers, and for more money than I expected. She even made the whole process of dealing with all of the cumbersome paperwork very easy. Gail knows the real estate market inside and out, and her strategies work! If you are thinking of selling your home, or you are a prospective buyer, do yourself a favor and contact Gail Rossetti." "We worked with Gail with Rossetti Realty for close to a year preparing our Mother's home for sale. We were very impressed that she was available for both of us when need be. When we had 9 offers, we were very happy. We received more than we thought we would. Gail sold our home for $70,000 over asking price. Thanks so much!" "Gail is a wonderful real estate agent. She goes out of the way for her clients and provides excellent advice on everything real estate. Gail is professional and is up to date with the latest trends that work in our very competitive market. I would recommend her to anyone in need of a real estate agent." "I had my property listed last year and it didn't sell. I chose Gail with Rossetti Realty because I believed she could sell my property for Top Dollar. Gail did just that. She sold the property for $1,350,000 at $100,000 over asking price in less than 2 weeks. Thank you." "I have had Gail as my Realtor for over 10 years. I live in Oregon. When she listed and sold my property, she took control of everything. She is very thorough and detailed in her marketing. She had to work with the tenants and was successful in managing open houses and appointments to view the property. The property sold for $155,000 over asking price. Thanks." "We had our property listed last year with another agent and company. We cancelled the listing because we were not happy with the agent's performance. We called Gail with Rossetti Realty for a listing appointment because she had mailed us educational material for over a year. We met with her and from the beginning, we noticed how outstanding her 7-point strategic plan to list our property was above and beyond what we had before. She was diligent, communication was superior and she was wonderful to work with. She sold our property for $75,000 over asking and $60,000 over asking on the last property that sold on our street. Thanks for everything." "My Brother passed away and it was hard to handle that and the probate process. I chose Gail with Rossetti Realty because she was a certified probate expert and she had knowledge of the area. She was thorough and always available to communicate with. That was important to me. I was selling my deceased brother's home and I needed that extra customer service. She was able to help prepare the home for sale and do the extra things necessary. She sold the home in less than 14 days for $368,000 over asking price. Thanks!" "From the moment we met, I could see that Gail Rossetti and her staff were seasoned professionals. During our selling process, Gail always treated my husband and I with the utmost integrity, dedication and professionalism. She went above and beyond to keep the process going and when hit with unexpected bumps, she was always reassuring and kept me calm. Conscientious, knowledgeable, reliable, and tenacious are just a few words that describe Gail. I thoroughly enjoyed working with her. She is always one step ahead and is always working in her mind even when she isn’t working. After all the paperwork and waiting for escrow to close, I am now left feeling: “Fantastic! Couldn’t be better”! Thank you Rossetti Realty for making the miracle happen. We made a great team." "I met Gail Rossetti at a social event and got to chatting. I let her knowthat I was casually interested in getting an investment property inPacifica, and had been for years. Although she is more keenly focused in the Palo Alto area and all that stretches from the Silicon Valley through Redwood City (from what I've seen in the homes she's representing), she made it her business to inform herself and me about the Pacifica market. I had met several realtors in Pacifica at open houses I'd found on my own, but none made any effort to keep me informed past the current open house or perhaps one more that might have come on the market shortly thereafter. Gail, on the other hand, set up a system whereby every property that went on the market there over the course of perhaps 8 months was immediately brought to my attention. It felt like it went from a drought to the rainy season! She showed up on a moment’s notice to show me properties on many occasions. She never made me feel as though I was wasting her time even though it wasn't an urgent, or even a certain search. I was so impressed by Gail and her team. She is exceptionally knowledgeable about real estate, and is a broker as well as an agent. The difference between her and other agents with so much less depth and expertise is immediately apparent. Her assistant Flo was also exceptionally responsive. They gathered all the necessary info on any property that peaked our interest, including disclosure packets and interviewing owners about the properties and neighborhoods. I was taken with their wonderful balance of keeping attentive to our interests month after month, showing up on a moment’s notice anytime I saw something of interest, sparing no effort to obtain all the info I sought on a given property, and yet, all the while, they were gracious, generous, and never made me feel remotely pressured. We came to rely upon her expertise in many ways, beyond our pursuits in Pacifica. She is the first person we will call with any further Real Estate needs. I'm so grateful I ran into her!" "Gail with Rossetti Realty was able to assist us in purchasing our home. We had previously submitted offers for other homes but we were never able to purchase. She had a strategy for us to present the offer and it worked! We live in Asia and she was able to coordinate everything. Thanks so much!" "Gail with Rossetti Realty knows how to get your offer accepted. When we decided to submit the offer, it was the price that we needed professional advice on. Gail researched the pending sales in the area and gave us a ball park figure. She also told us to write a great letter about ourselves and why we want to purchase the home. There were 9 offers and we were very close to being the best. The personal letter we created for the seller, made such an impact, that they accepted our offer. We have smiles everyday because we have this lovely home!" "We chose Gail with Rossetti Realty because we thought of her as trustworthy. When she read the home inspection report, there was something she read about the foundation that was confusing. She called the home inspector to explain in detail. After speaking with the home inspector, she quickly ordered a foundation report from a reputable foundation inspector. Once we received the report, Gail called the inspector to have him explain in detail the issues about the foundation. She explained it to us thoroughly. When we submitted the offer, she fought hard for us and the seller accepted our offer. Thanks, Gail." "Gail was referred to us by my loan agent. She said she takes it very seriously when she receives a referral. She also said she will hustle for me and do everything she could to get us a house in this multiple offer climate. And, she did just that! We did not go through writing a lot of offers before we were accepted. We paid 40,000 over asking and Gail just asked if we did that, would we have enough money if it didn't appraise. We said we think so. It appraised for more than what we offered. We are so happy with our home and Gail. I will refer her to people I know who are thinking of buying and selling." "I chose Gail with Rossetti Realty because she did an outstanding job selling my home. I trusted her and knew she would do an outstanding job making sure my offer on the home I just LOVED would be accepted. It took several days to get the terms I wanted but it happened. I am now living in my dream home because she worked hard so I can have it. My family and I are really happy!" "I met Gail at a listing she had in Burlingame. We did not put in an offer for that property. However, I really liked Gail's professionalism, follow through and her personality. When we put in the offer for the home we loved, Gail was able to assist me in doing the necessary things to provide the best offer for the sellers. She knew what to do and we worked together very well to get the home. I will buy all my properties from her and I will refer my friends and family to her as well." 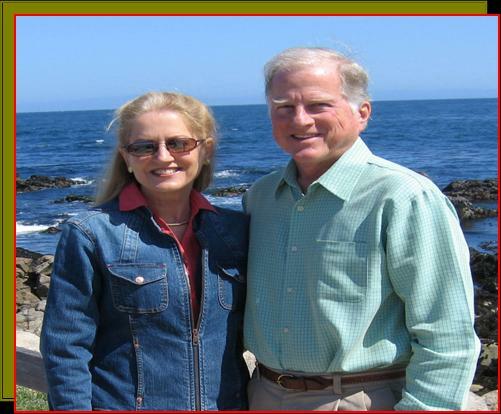 "We were speaking with Gail with Rossetti Realty for over several years about purchasing in Palo Alto. One day Gail called and she said she had an off market property in Palo Alto. We went to see the property and it was perfect for our family and our goals. Gail negotiated the terms so that we were happy with the transaction. She has always been in our corner working for us all the way! We trust her and we will refer our Family and Friends. Thanks."